Experts had an important and interesting debate on the British Medical Journal’s (BMJ) web site this week, and we at Doctors Health Press want to share it with our readers. The use of antidepressants is surging in Western countries like Britain—but are we using too much? The BMJ reports that 46 million prescriptions were doled out in the U.K. in 2011, a 9.6% increase from the year before. There is some belief that we reach for these drugs too quickly, too easily; and while they are needed by many patients, many others should think hard about whether they want to start a treatment course that is very difficult to stop. Guidelines don’t support using antidepressant medication for mild cases, which makes absolute sense. Nor do they support the drugs as first-line treatment of moderate depression. Instead, they suggest other options, such as counseling and psychotherapy. 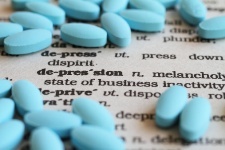 In the BMJ debate, it is said that one in seven people actually benefits from antidepressants. That is, according to a review of the literature. So, millions endure at least half a year of ineffective treatment. Plus, it can be difficult to stop taking these powerful drugs, as your mind has relied on them to remain stable for as long as you’ve been taking them. PLUS: A Mexican herb that could ease depression. Depression is coming to the forefront these days, far more than it ever used to be. Thus, treatments for it are increasing, and antidepressants will continue to be prescribed in greater quantities. In some ways, this means we are viewing depression as entirely a chemical imbalance. What if, rather than going straight to drugs, we attempted to understand the roots of someone’s depression? Could happiness be obtained through personal exploration, like that offered by therapists? In the end, you might certainly need antidepressants if your quality of life is severely damaged by depression. We simply need to remember that the drugs are one possible treatment, not the go-to remedy. They can carry side effects people might not want, such as weight gain. It is excellent that mental illness is shedding its stigma, but we shouldn’t start overprescribing antidepressants as a result. “Are antidepressants overused?,” British Medical Journal web site, last accessed January 22, 2013.